Both the yurt and the bell tent have their own kitchen hut adjacent. These comprise a double burner gas stove and grill, and all the pots, pans, cutlery and crockery you could need. Lots of extra bits, such as colander, cheese grater and of course the bottle opener will be found here! Anything we’ve missed, please ask and we’ll be sure to find it for you. On booking you will be provided with an inventory of what’s here already and what you may wish to bring. We also use and supply eco friendly cleaning products for your stay. As there is no electricity on site, refrigeration is via cool box. Ice packs will be replaced regularly to ensure your goods are kept chilled. 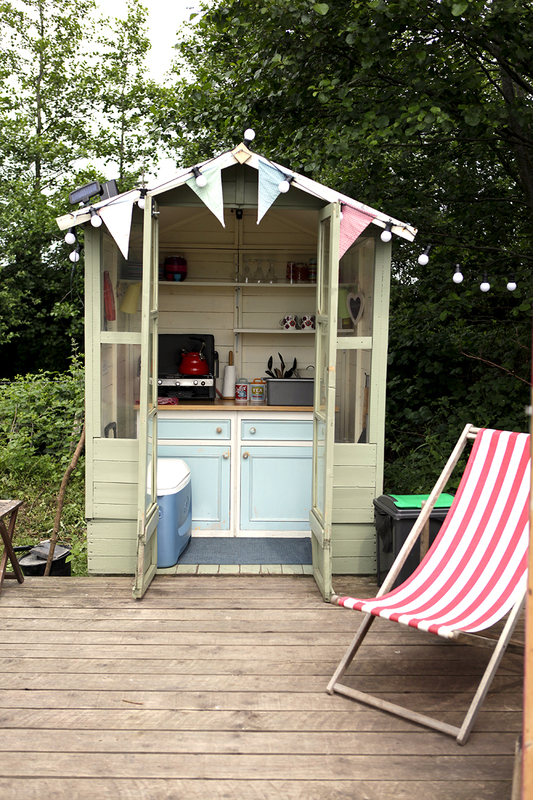 Each unit has an alfresco eating area and a range of deck/comfortable chairs for reading your book or just enjoying the surroundings. A fire pit is also provided, which can be used as a campfire or barbeque, just perfect for toasting marshmallows. The first bag of Charcoal and logs will be free with extra available on site for an extra charge. Each bell tent and yurt has it’s own compost loo adjacent, very handy for those midnight dashes. 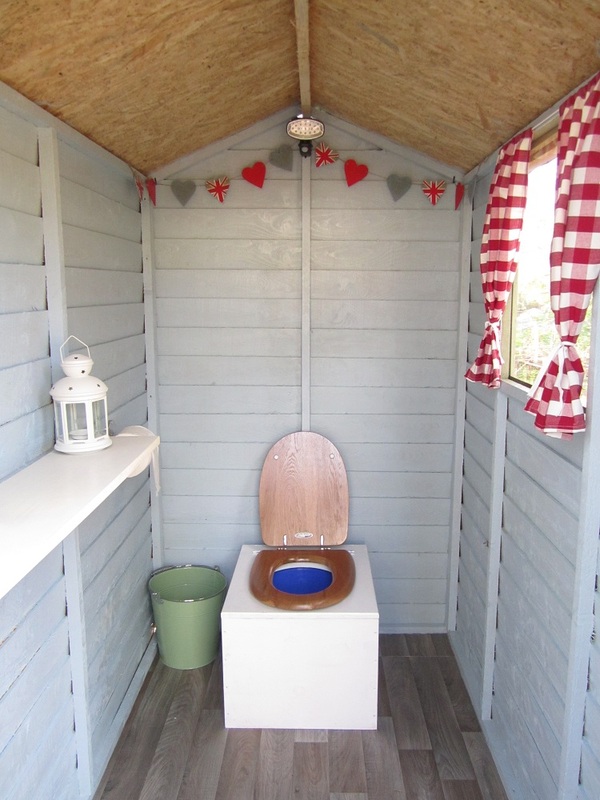 If you’ve never used a compost loo before, don’t be alarmed, these are quite pleasant, and there really is very little difference between these and a flushing toilet, instead of being flushed with water, they are ‘flushed’ with sawdust. Our aim is to off an eco friendly camping experience. 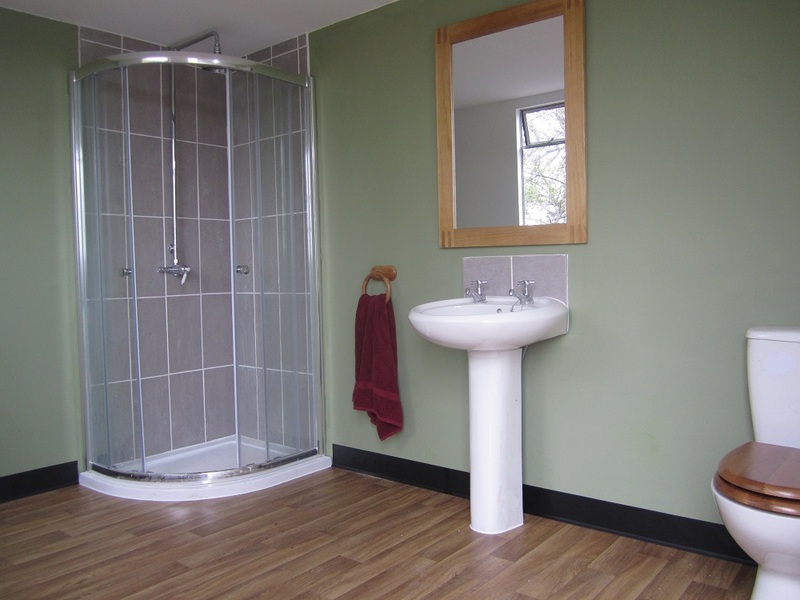 A luxury shower room can be found at the entrance to the ‘Glamping field’, providing you with not only a hot shower but also a flushing Toilet.